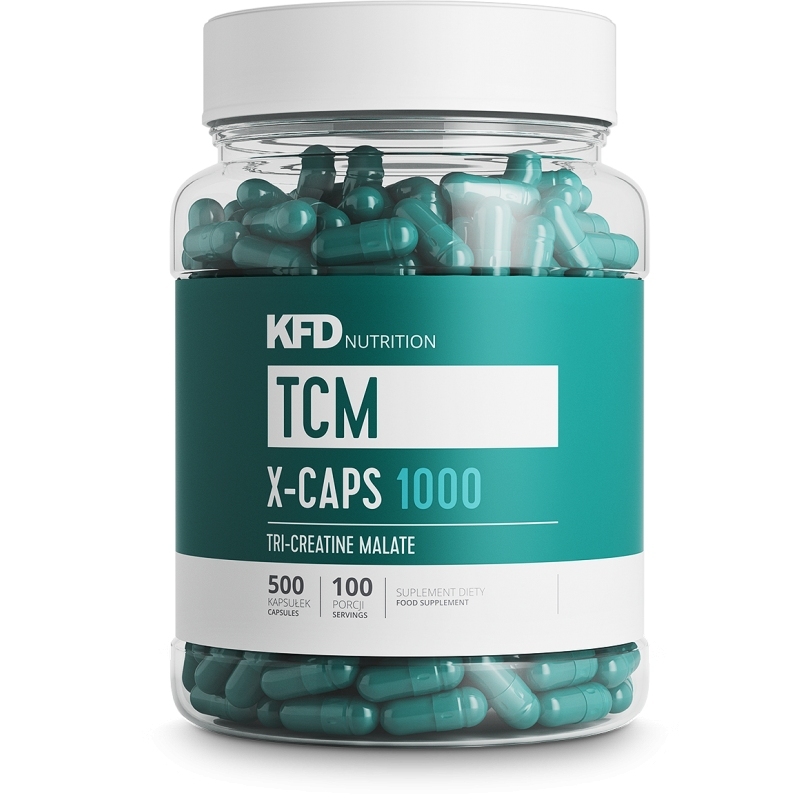 KFD TCM X-Caps is 100% pure Tri-Creatine Malate in form of easy to swallow gelatin capsules. TCM consists of three monohydrate creatine molecules paired with malic acid which helps to improve its transport towards the muscles. Basic function of pure creatine is production of energy to restore energy supplies of the body. Due to its anti-catabolic features, creatine helps to improve the length of effective workout. Malic acid added to the compound supports transport towards the muscles. Due to effective lean muscle gain in relatively short periods of time results, creatine is reckoned as the most effective legal anabolic. Creatine supplementation helps to improve strength and endurance, as well as lean muscle mass bulk. Ingredients: Tri-Creatine Malate (creatine), gelatin, colouring agent (brilliant blue), anti-caking agent (silicon dioxide). RECOMMENDED USE: Use one serving (5 capsules) e.g. before or after training or in the morning after meal.